While I’ve been play World of Warcraft since it’s early beta (over 13 years!! ), the Legion expansion has been one of the better additions to the game. 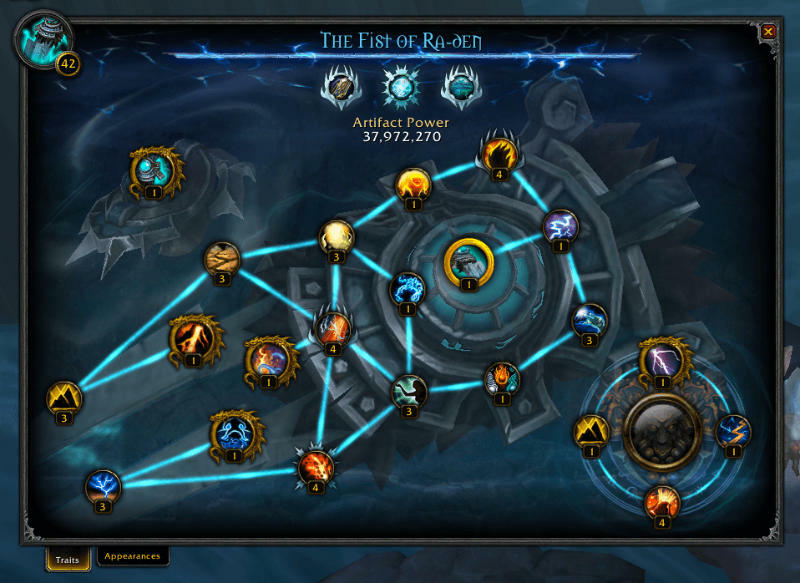 The class hall campaign, personal artifacts, and world quests have kept things interesting since last August. The most recent patch 7.2, has some exciting tweaks that I’ve been waiting for. The expansion sends us back to the Broken Shore, the setting for the first scenario that we experienced when we started the Legion expansion. 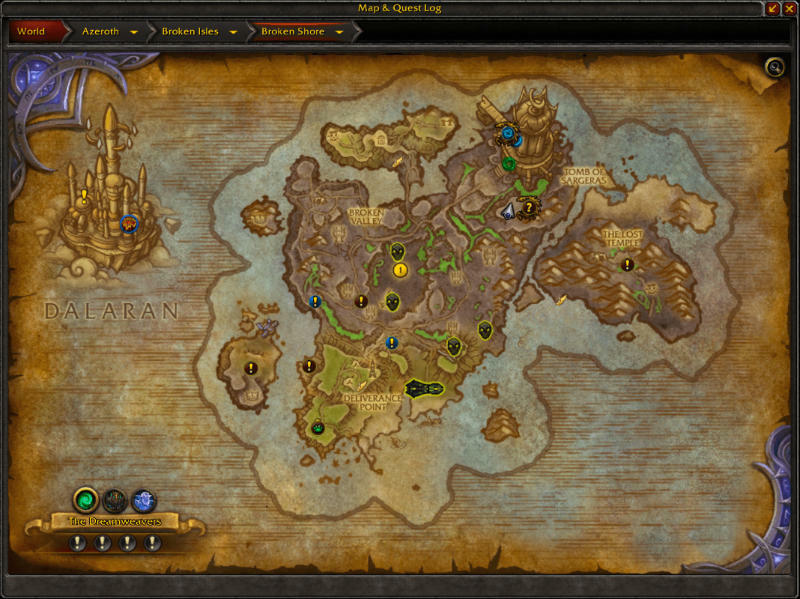 Now the Broken Shore is a new zone for exploration, some limited questing, and a source for new world quests. For folks pursuing the Pathfinder 2 achievement the Broken Shore is a must (more on that later). The zone feels dangerous, with pockets of different demon groups around a blasted landscape. There are a ton of named mobs that require a group to put down and a new set of chests to uncover. Along with the new zone patch 7.2 brings demonic assaults to four of the five original zones in the Broken Isles. The assaults feel a little bit like the incursions that heralded the launch of the Legion expansion but they are a little more complicated. To push an assault back you start by entering the zone where it’s going on. If you’ve opened up World Quests with the character then you’ll get a quest to stop the assault. 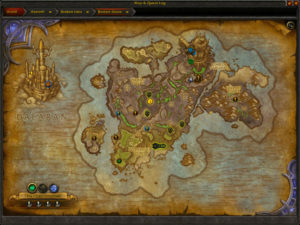 You can then engage the Legion forces in several areas marked on your map. Once you’ve completed four of these events (which play similarly to World Quests) you’ll then get a quest line of about three or four quests. Once you complete these, you’ll be able to queue for a scenario whereby you complete another series of demon-busting events culminating in a fight with a demon commander. The whole event gives some good loot, great resources, and completing one is part of Pathfinder 2. The patch also ups the item level for gear. Legendary items now max out at 940 and World Quests which were previously capped at 850 are starting to offer higher levels for their completion. Dungeon bosses and raids have also gotten a bump. In addition, the personal artifact that you’ve been lovingly enhancing gains some additional powers that have to be unlocked with a quest line. Once you complete the quest your original artifact abilities look a little different as well. This was a little shocking for me at first but looking things over the power level looks like an overall boost. Illidan and I are tight. One of the more interesting aspects of the patch to me is the redemption/acceptance of Illidan Stormrage. 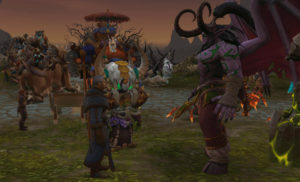 Illidan was the big bad guy from the Burning Legion expansion, the first expansion for World of Warcraft. We had been following Illidan’s back story as we progressed through the Legion expansion but, seeing him put an end to Gul’dan at the end of Nighthold was particularly satisfying. Now he’s an NPC helping both the Alliance and Horde put a stop to the Legion once and for all. All of the previous talk about the Pathfinder 2 achievement lead to the biggest positive about patch 7.2. Flight is now available on the Broken Islands (including the Broken Shore). The Pathfinder achievement was lengthy but hopefully you worked through. If not, get to work on that. Pathfinder 2 isn’t nearly as long with only four achievements needed to unlock it. 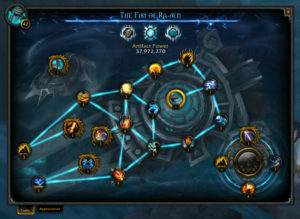 You need to get to revered with the new, Armies of Legionfall faction, explore the Broken Shore, complete all of the achievements of Pathfinder, and complete one of the Legion Assaults mentioned above. There is some current chatter that the Legion Assault completion isn’t required anymore, but I needed to complete it for completion. Now to to work on my class mount so I can fly in style. I haven’t played patch 7.2 yet but after seeing everything you mentioned I’m wanting to hop back in. Totally agree with you, Legion has been one of the better expansions for WoW. FEZ Pocket Edition - Polytron Inc.
Jason Tucker on PokeMonday 11-14-2016: Location, Location, Location??? John Hawkins on PokeMonday 9/19/2016 : South Bound To San Diego, the Search For Gyrados continues!